--Winter access off of Highway 20 will be reduced by four miles this year. In an article on the WSDOT blog, they try to make it sound good, stating that now there's more "room to roam;" but it will cut off easy access to some areas for backcountry skiers. To read more, click here. --Fifteen-year-old Conner Herson became the youngest person to ever free the Nose (5.14a) on El Capitan in Yosemite this week. And while thousands of people have aided the route, Conner is only the sixth person to have freed it. To read more, click here. --The New York Times went behind the scenes on the production of Free Solo. They made a short piece on the filmmakers and the morality of filming such an ascent. What if Alex were to fall? What if he were to fall because the filmmakers were there...? To see what the New York Times came up with check out the video below. It is well worth the watch. 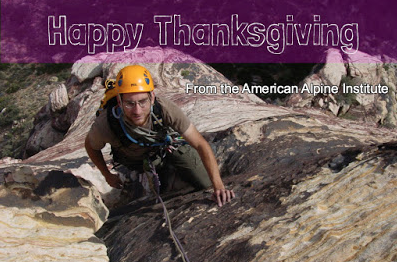 --Red Rock Canyon National Conservation Area will have limited hours on Thanksgiving Day. Congestion should be expected throughout the weekend. To read more, click here. --The Patch is reporting that, "A climber who fell 50 feet from the Second Flatiron on Friday night was rescued by Boulder County personnel, according to a release from the county sheriff's office. The man had reportedly been climbing without a rope or safety equipment at the time of his fall." To read more, click here. --The Salt Lake Tribune is reporting that, "A group of 21 mayors and council members from around Utah have signed onto briefs with the U.S. District Court for the District of Columbia in support of lawsuits filed against President Donald Trump’s shrinking of the Bears Ears and Grand Staircase-Escalante national monuments. The amicus friend-of-the-court briefs — filed Monday and drafted by the Harvard Law School’s Emmett Environmental Law & Policy Clinic and the Salt Lake City Attorney’s Office — contend that the process was flawed, with little input from local voices, and that the boundary reduction will have detrimental economic and environmental effects in the state." To read more, click here. --Fees in Colorado State Parks are going up...! --Rock and Ice is reporting on a cool ascent of Mt. MacDonald in the Selkirks. Chris Wright and Graham Zimmerman "made the first ascent of a long, difficult mixed route on the North Face of Mount MacDonald at Roger’s Pass" They called their route The Indirect American ​(WI4+ M7, 1,000 meters). To read more, click here. --The outdoor industry is trying hard to be inclusive, but things can be complex. Nothing is more indicative of this than the recent change within the Boy Scouts to include girls. What happens to the Girl Scouts -- a stand alone organization -- if the Boy Scouts change? And indeed, how does this impact the branding of the Girl Scouts. To read about this and a recent lawsuit, click here. --Well this is depressing. 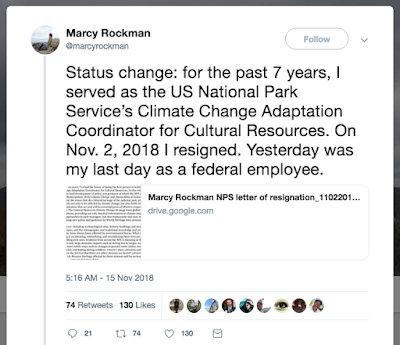 The woman in charge of climate change adaptation for the National Parks has resigned because she has received no support from the current administration. To read more, click here. 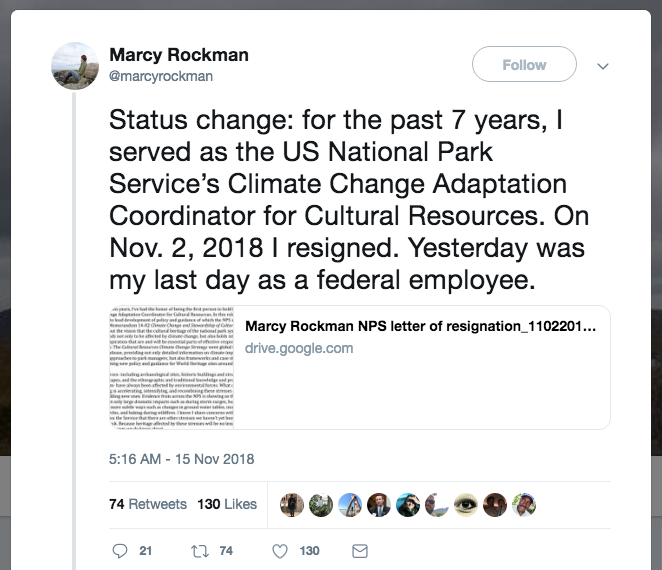 --The Associated Press is reporting that Vicki Christiansen, the new chief of the Forest Service, is on a mission. She is spearheading a cultural change within the organization to root out sexual harassment and bullying. To read more, click here.